Home / Health Insurance Company Reviews / Platinum Underwriters Health Insurance Inc. In April, it was estimated that Platinum Underwriters Holdings Limited, would suffer claims losses totaling nearly $75 million dollars stemming from the massive earthquake and resulting tsunamis that struck Japan earlier this year. Are you looking for health insurance? Enter your zip code and instantly receive quotes from active health insurance providers in your area. 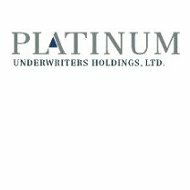 Despite the recent large claims payouts, Platinum Underwriters remains a viable and financially fit company. A.M. Best consistently rates the financial strength of PUH and its affiliate companies as “A,” excellent owing to consistent positive income results and its strong cash position. Platinum Underwriters’ credit ratings are also ranked as “A,” excellent and the financial outlook for the entire Platinum Underwriters group is stable. Platinum Underwriters’ principal source of business is reinsurance. By definition, reinsurance is the transference of a portion of a financial risk from one insurance company to another. This reduces the exposure of the transferring company, called the ceding company, and effectively spreads the potential risk over two or more companies. Reinsurance is insurance coverage that protects insurers from the potential claims of their policyholders. Health and accident coverage, which provides back up and support for various employer health plans, student health programs and some Medicare programs. Not all of the above referenced and detailed programs are available directly to the general public. They are not policies for individuals or businesses. What they are, are reinsurance programs, which are made available to insurance companies who wish to share the financial risks of their policy portfolios, and are willing to pay premiums to Platinum Underwriters for their services.